The Altberg Desert Mountain is suited to tougher terrain with a dual density compound rubber sole. The Tri-Flex® 3-4 season midsole provides improved underfoot support over rough terrain and the externally reinforced toe gives you extra protection. 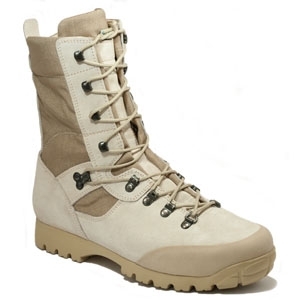 The Desert Mountain boot improvements are largely based on feedback given during operational use in Afghanistan and similar environments, and feel distinctly better underfoot.